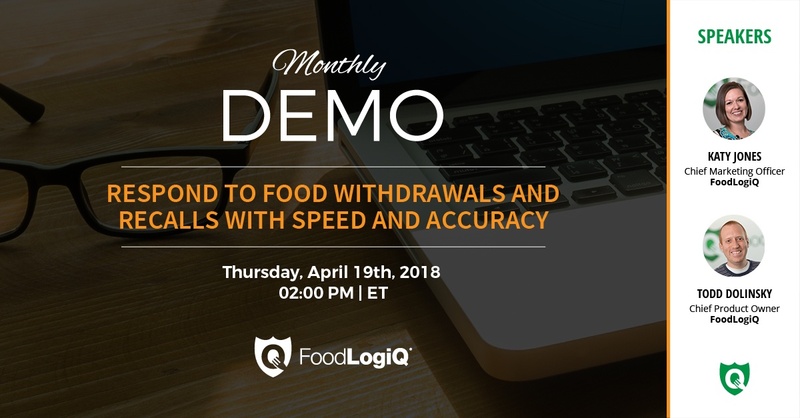 Join FoodLogiQ for a live demo of Recall + Response on Thursday, April 19th, 2018 at 2:00pm ET and learn how you can define and create withdrawal templates, communicate recalls and stock withdrawals across your supply chain and build in automatic escalation if no action is taken. Tracking "one-up and one-back is no longer enough. 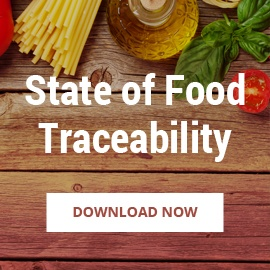 With increasingly complex supply chains, end-to-end traceability is critical for effective recall management. 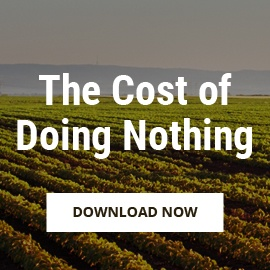 Only by tracking product movement and events across your extended supply chain will you be able to quickly identify the root cause of a recall and trace forward to know exactly where it went. 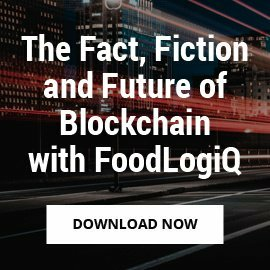 Serving as a centralized technology platform for executing stock withdrawals, recalls and mock recalls, Recall + Response empowers food companies both large and small to execute faster, more targeted recall management across their supply chain. The system launches automated communications including phone, email and text notifications that are developed using pre-built templates in the platform. 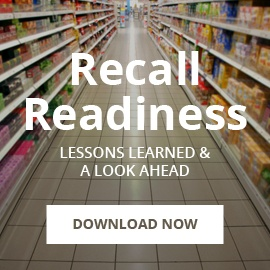 By preparing and documenting the recall plan in advance within Recall + Response, companies can ensure speed of delivery and consistency of notifications to their supply chain partners when a recall happens. 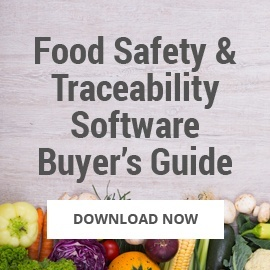 Launch a mock recall in the platform to test your supply chain's recall readiness. Communicate recalls and stock withdrawals across your supply chain to your contacts and locations via text, email and phone. Build in automatic escalation is no action is taken by a particular location or contact within a customized timeframe. 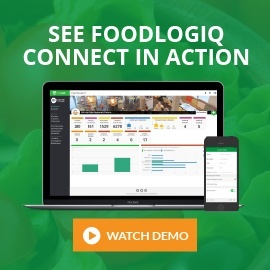 For more information about FoodLogiQ and its solutions, please register for the Recall + Response demo on April 19th.